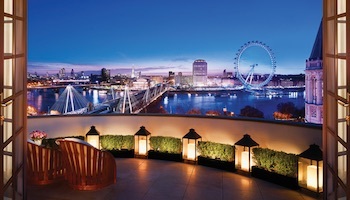 So, you have three days to explore London? That’s great except just one small thing – the city is enormous! 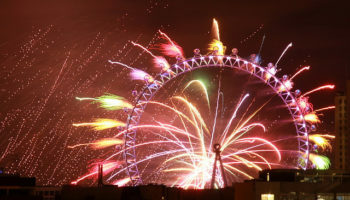 London, a city as modern as the 21st century yet a history dating back to Roman times, is a place that has fascinated travelers from all around the world for decades. 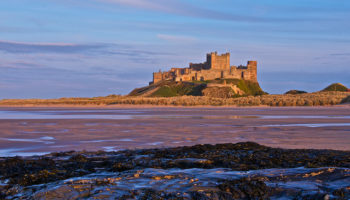 There are numerous attractions that can quite literally engulf you, so you need to have a plan. 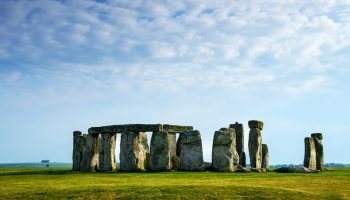 One of the biggest ways to save time and money is to purchase the London Explorer Pass – you can choose to add 3, 5, or 7 locations for free entry and make sure that one of the options you pick is a one-day Big Bus London Hop-On-Hop-Off Tour. Alternatively, you can get yourself an Oyster Card. You can use an Oyster Card as a day or weekend travel pass on all transport options in the city or top up with credit and use as a pay-as-you-go card on all the same modes of transport. An Oyster Card also gives you big savings on all your journeys. 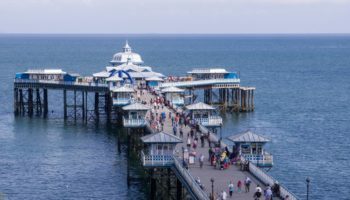 This is the first day of the trip, so you should essentially look forward to familiarizing yourself with the top attractions in the city. London is one of the biggest cities in the world so obviously it’s easy to lose track of time, however, you have to time your visits and days in a way so that you get to enjoy as much as possible in the limited time you are here. Start your day with a hearty English breakfast and then head over to the one and only – Buckingham Palace. The official residence of the Queen, Buckingham Palace is one of the most “London” like sights that you have to tick off off your list. 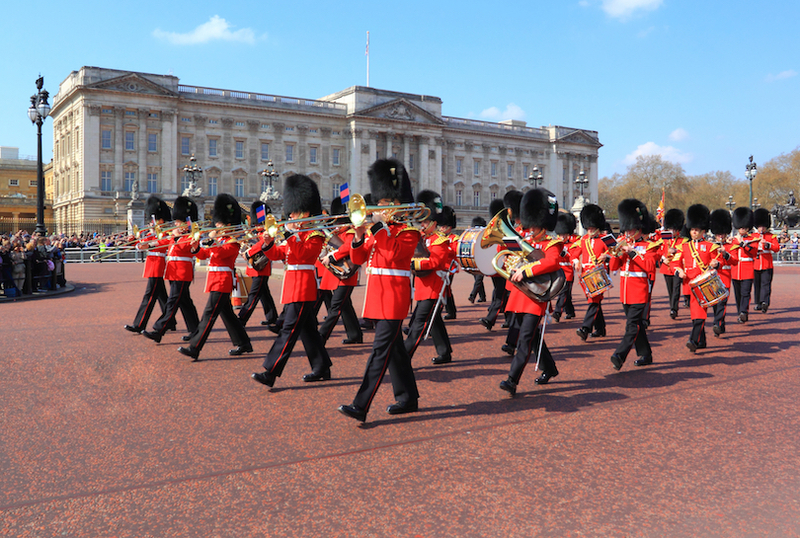 Another amazing thing to do while you are visiting Buckingham Palace will be to watch the “Changing the Guard” ceremony. You should check the timings in advance but it almost always takes place everyday at 11:30 AM from April to July and on alternate days for the remaining part of the year. Note, touring the Palace (optional) can take a couple of hours to a half day. It is best to arrive as early as when it opens i.e. 09:30 AM (buy skip-the-line tickets) so you can appreciate the Royal Residence and also make it to the “Changing the Guard” ceremony on time. After spending a wonderful morning at Buckingham Palace, take a gentle walk towards the notable Thames River. 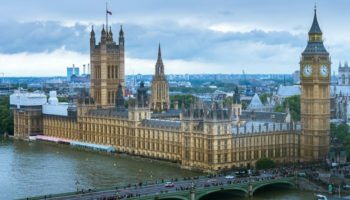 But, take a slight detour and walk over to one of the greatest structures in London (other than Big Ben) – the Palace of Westminster, also known as the Houses of Parliament. 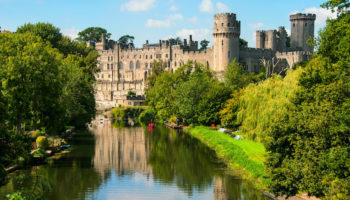 Depending on how much time you wish to spend here, you can either take a guided/self-guided tour of the Palace (approximately an hour or two) or you can simply stroll outside and appreciate the grandiose architecture of the place. 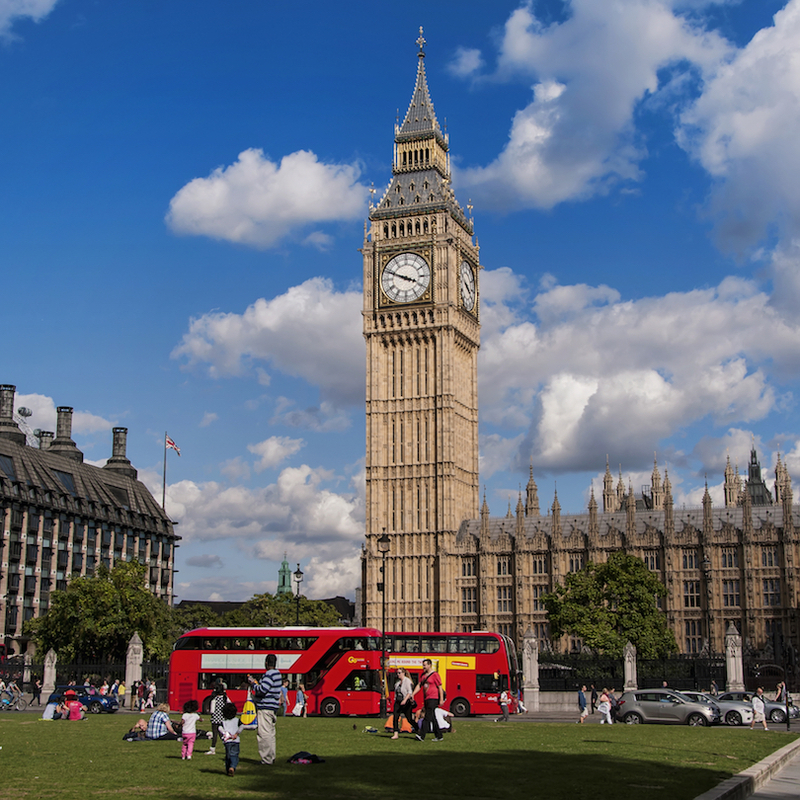 A couple of minutes’ walk from the Palace of Westminster is the next BIG attraction – Big Ben. 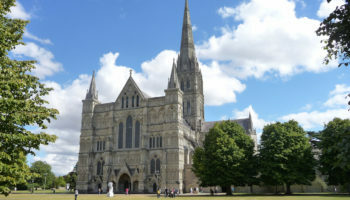 A neo-gothic style of architecture, the Clock and the Clock Tower has been in existence since 1859. Admire the architecture of the edifice and then take a nice stroll over the prominent Westminster Bridge which crosses the Thames River. Take a short 5-minutes walk back across Westminster Bridge to Westminster Underground Station and take the Jubilee line to London Bridge. Once you’re back above ground walk a couple of minutes to Borough Market (you can also walk from the London Eye to Borough Market following the river which would take around 45 minutes). 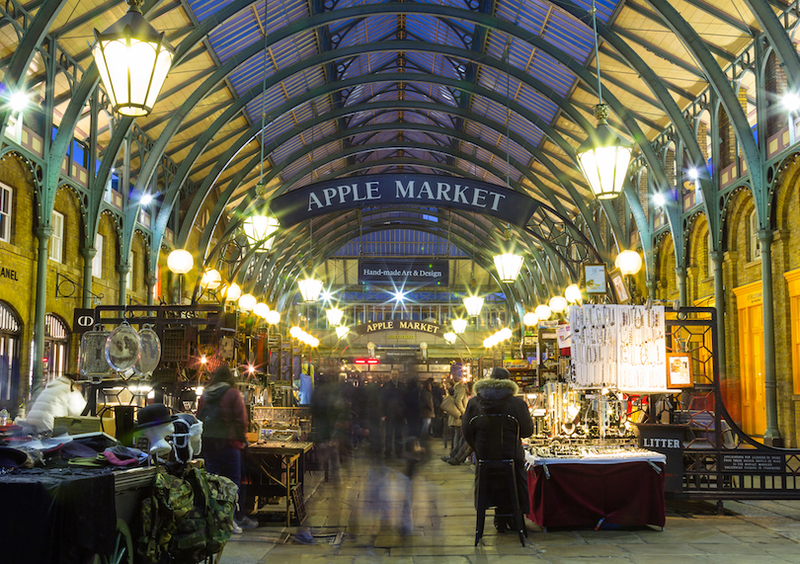 You are now at London’s most famous food market and there is no better way to end your day in London than here. 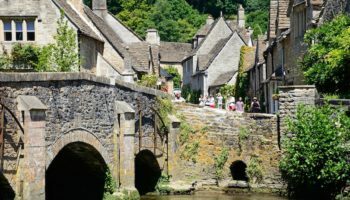 The area is literally overflowing with bars, pubs, restaurants and food stalls selling wine, cheese, burgers, wraps and plenty of sweet treats. Either grab a meal to go or sit down at one of the many restaurants and soak up the atmosphere. 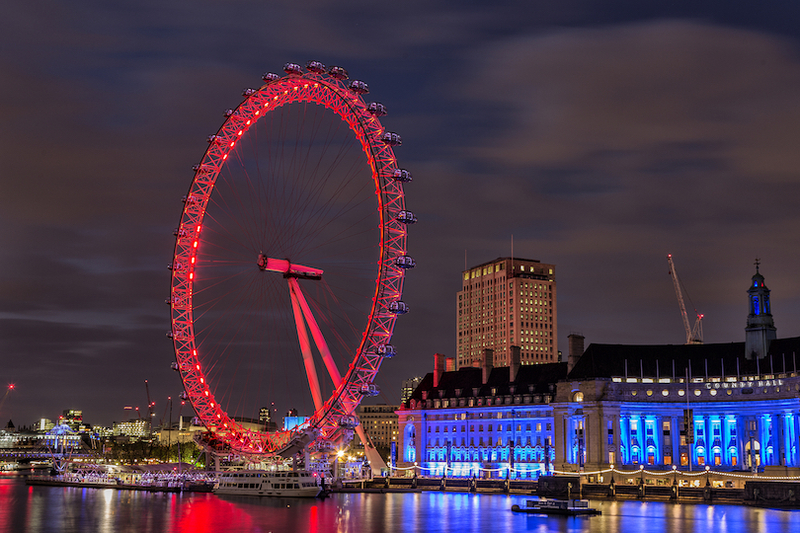 Buy a skip-the-line ticket to the London Eye and enjoy a 30-minute birds eye view ride on the giant ferris wheel that towers over London and its most prominent structures. If you’re visiting in winter when the evenings are dark, it’s still a beautiful time to ride so you can see the twinkling lights across the cityscape. Your first day in London was spent visiting some of the most famous spots in the city, but there are so many more to explore. Do not forget that you are in London, a city with some of the highest numbers of annual visitors in the world. So every day involves seeing world famous sights, which brings us to the second day in the city. Londoners love their brunches and if you are in the city, especially over the weekend, brunching is a necessity. Start your day at one of the many brunch cafes across London. After refueling yourself, hop on the nearest London Underground station and head to Bank Station, then walk 10-15 minutes to reach the Tower of London. Standing right in the heart of London, the Tower of London is a historic fortress that has been in existence since 1066. 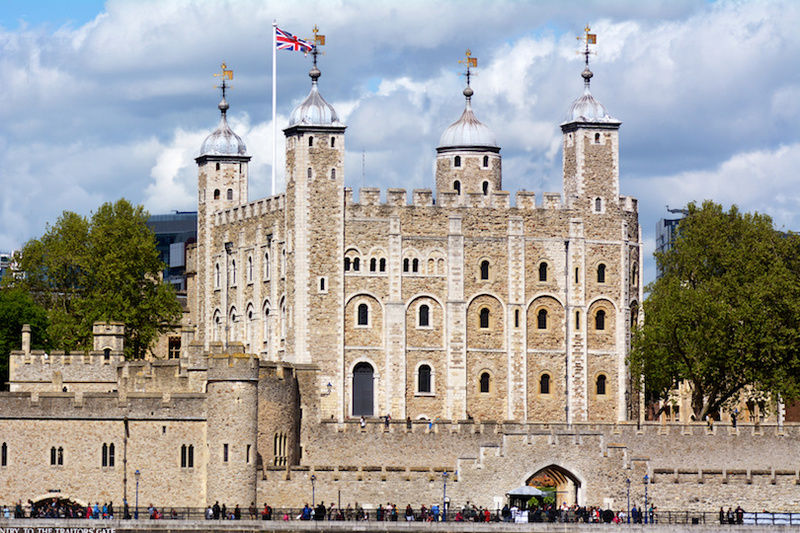 You can pre-purchase your tickets if you’d like a tour inside the tower which holds the Crown Jewels! From the Tower, walk towards and past the Ceremony of The Keys (the ritual takes place in the evening, but you can still take photos from outside), the Traitors Gate (another photo opportunity) and over to the impressive Tower Bridge. If you would like, you can also buy advance tickets to go inside the Tower Bridge and walk across its glass walkway. Sit down for lunch at one of the restaurants near the Tower of London and replenish yourself. Then, walk 10 minutes to Tower Hill Underground Station and take the District Line to Embankment Station. From there, walk 5 minutes and you will find yourself at Trafalgar Square. 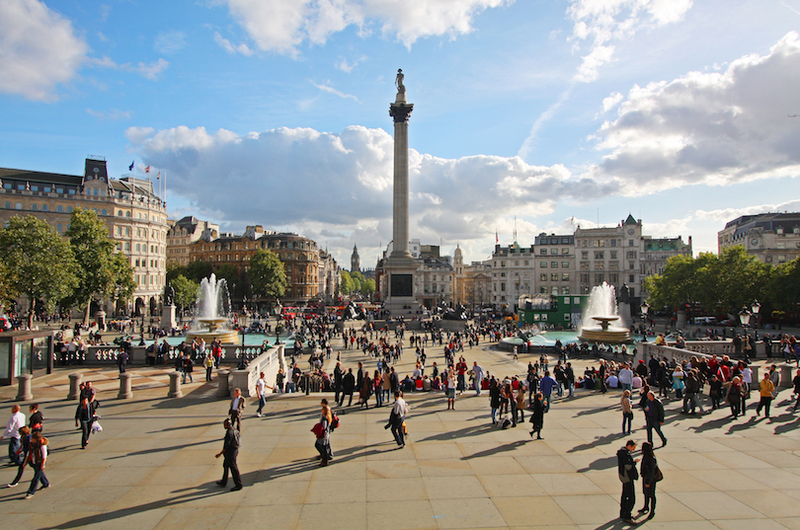 A public space that is open 24 hours of the day, Trafalgar Square is one of the city’s most prominent squares. There are numerous monuments to see around the square including Nelson’s Column and at most times of the day expect to see various street performers entertaining the crowds. The whole square is surrounded by historic buildings so take a moment to take it all in and then take a pleasant 10 minute stroll to Covent Garden. 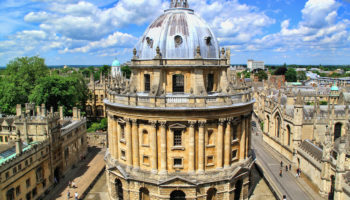 Embrace yourself as you are now in the heart of London’s West End, the stunning Covent Garden, and there is no way you can leave London without experiencing a West End show. Home to tons of theatres like the Royal Opera House and the Royal Theatre, Covent Garden is the perfect place to shop and eat before watching a play or musical in a nearby theatre. You are now on your last day of your three-day grand tour of London. So today you get to visit a couple of equally popular London sites and admire the city before you bid your goodbye. 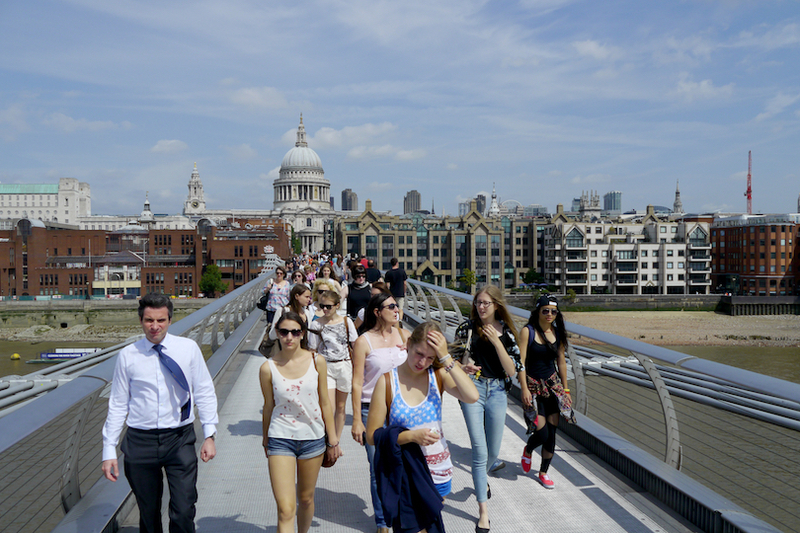 Just 5 minutes’ walking from St. Paul’s Cathedral is the Millennium Bridge – mostly known for the role it played in Harry Potter and The Half-Blood Prince but also because it provides magnificent views of the River Thames and the buildings lining both the South and North banks. Cross the Millenium Bridge and walk a couple of minutes to find yourself at Shakespeare’s Globe. A theatre steeped in history, the Globe was established in 1599 and still continues to commemorate William Shakespeare’s famous work. You probably won’t have time to catch a performance, but you can definitely stop by for some photos. Stop for lunch at The Swan, the riverside restaurant at the Shakespeare’s Globe and fill up for the rest of your last day of sightseeing. 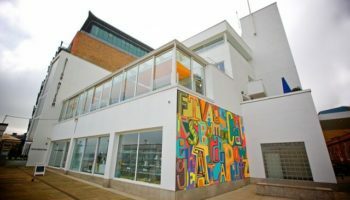 Last but not the least, a couple of minutes walking from Shakespeare’s Globe and you’ll reach the Tate Modern – one of the four museums in the Tate Group that is home to approximately 70,000 masterpieces of the national collection of British modern art. Entry is free unless you want to attend a special exhibition. A city as big as London can be overwhelming so for the last night in city it is best that you keep it simple and light. 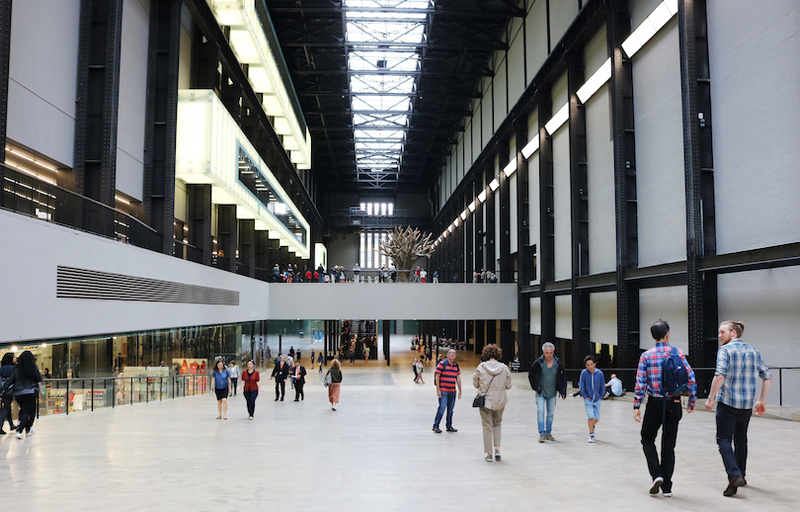 The Tate Modern, where you finished your afternoon, is on the Southbank of the River Thames which is lined with bars, pubs, restaurants, shops, galleries and coffee shops, so take some time to stroll the riverside and pick a venue for your last meal and drinks in the city. You’ll really be spoilt for choice here.